Dan Diessner has been working for Boeing for almost 33 years. He is currently the Boeing Commercial Airplanes (BCA) leader for Product Cybersecurity and Airplane Software Integration. Product Cybersecurity for BCA includes product development, airplane systems cybersecurity regulatory certification, cyber incident management, and factory cybersecurity. He also leads teams that are responsible for airborne software compliance, airborne electronic hardware compliance, the airborne software production & global electronic distribution system, and software QA for airplane & BCA factory automation systems. Dan supports the aviation cybersecurity industry in a number of ways including as BCA representative to the ICAO for cybersecurity, member representing BCA on the International Coordinating Council of Aerospace Industry Associations (ICCAIA) Security Committee, the Aerospace Industry Association (AIA) Civil Aviation Cybersecurity Subcommittee Chairperson, Alternate Board Member of the Aviation Information Sharing & Analysis Center (A-ISAC), and serves on the Embry Riddle Aeronautical University Industry Advisory Board for the M.S. in Cybersecurity Management & Policy (MCMP) program. Prior to this role, Dan was the Systems Connectivity Leader for the 787 program, and also supported the 787 Chief Project Engineer to build out the 787 future Product Strategy and Roadmaps. Before serving as the 787 Connectivity Leader, Dan was the Airplane Systems Product Development & Technology Organization Leader and also served as the Strategy Integration leader for BCA Airplane Systems. Dan started his career at The Boeing Company in 1986 as part of the BCA Avionics / Flight Systems research organization, and supported BCA Avionics and Cabin & Network Systems Enabling technology teams and Connexion By Boeing. 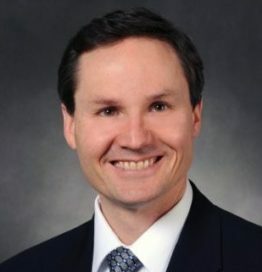 Dan later joined the Boeing Defense and Space where he held several leadership positions developing and implementing new airplane concepts and end-to-end connectivity solutions for US and international government senior leaders. Dan has Bachelor of Science degrees in Electrical Engineering & Computer Science, and Engineering Physics from the University of Colorado, and a Master of Science in Physics from the University of Washington. Dan resides in Washington State, where he and his wife enjoy outdoor activities such as skiing, sea kayaking, running, going for long walks, and flying their ADS-B equipped Cessna 177B airplane whenever they get the opportunity.